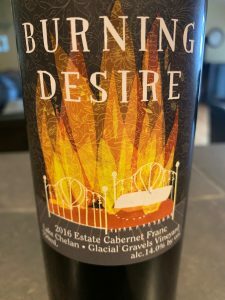 Cabernet Franc Archives - Write for Wine: It's Wine O'Clock Somewhere!Write for Wine: It's Wine O'Clock Somewhere! 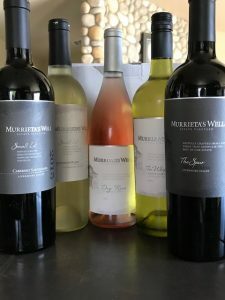 We have been fans of Murrieta’s Well blends, The Spur (red), and The Whip (white), since 2011, and their latest vintages continue to impress. 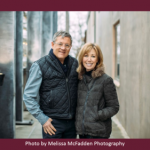 We enjoyed samples of these two blends, plus a few other wines in the portfolio of this popular Livermore Valley winery, at a recent Snooth virtual tasting with Murrietta’s Well talented winemaker Robbie Meyer. What does that mean? 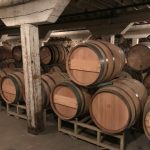 Barrister winemaker and owner Greg Lipsker explains: “Barrister’s barrel room, where the wines age anywhere from 1.5 to four years, is located under the train trestle for the BNSF Railroad. Every time a train passes overhead, the barrels are gently vibrated, helping the solids settle out very efficiently. 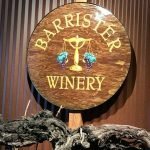 In other words, Barrister wines rock!